Home / Michael Novak M.D. Dr. Novak received his BA and MD degrees from Case Western Reserve University. He then completed his ophthalmology and retinal training at the Wilmer Ophthalmological Institute of the Johns Hopkins School of Medicine. Dr. Novak has served as an Assistant Clinical Professor at Case Western Reserve University School of Medicine. He was also an instructor of ophthalmology residents at Mt. Sinai Medical Center, St. Luke’s Hospital of Cleveland, and Case Western Reserve University and has received several teaching awards. 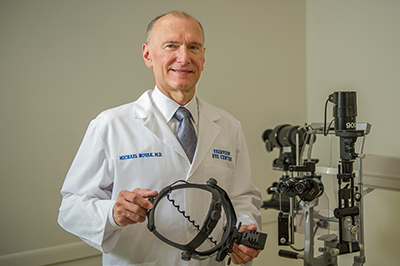 He has been a principal investigator in 12 clinical research studies and a co-investigator in more than 120 others, many of which have led to FDA approval of new and effective treatments for retinal diseases such as macular degeneration and diabetic retinopathy. He is also an author in over 160 publications. 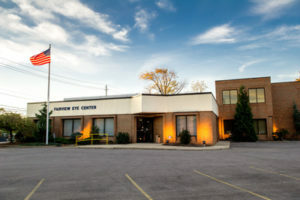 Dr. Novak is a member of the American Academy of Ophthalmology, the American Society of Retinal Specialists, the Macula Society, the Retina Society, and several other local and national professional associations. Dr. Novak’s principal areas of interest are macular degeneration, diabetic retinopathy, and retinal and vitreous surgery.